Secure your organization with the Fortior Solutions RAPIDGate® Program, a comprehensive, high-assurance identity management solution that is cost-effective, easy to implement and trusted by some of the most security-conscious organizations in the United States. For vendors, contractors and suppliers who work with RAPIDGate organizations, we offer various options for you to acquire the credentials you need to access facilities nationwide. The Fortior Solutions RAPIDGate Program serves the government, military and critical infrastructure sectors, fulfilling end-to-end identity management needs and accommodating a wide set of compliance specifications. Recognized for our RAPIDGate Program, Fortior Solutions is also the leading FIPS 201-2 PIV-I provider in the nation with 275,000+ credentials issued to date. Fortior Solutions has been a trusted resource for the military for more than 14 years and has implemented our programs at more than 150 military installations. RAPIDGate Program products can scan, read and verify a wide variety of credentials to meet the regulatory specifications of multiple industries. 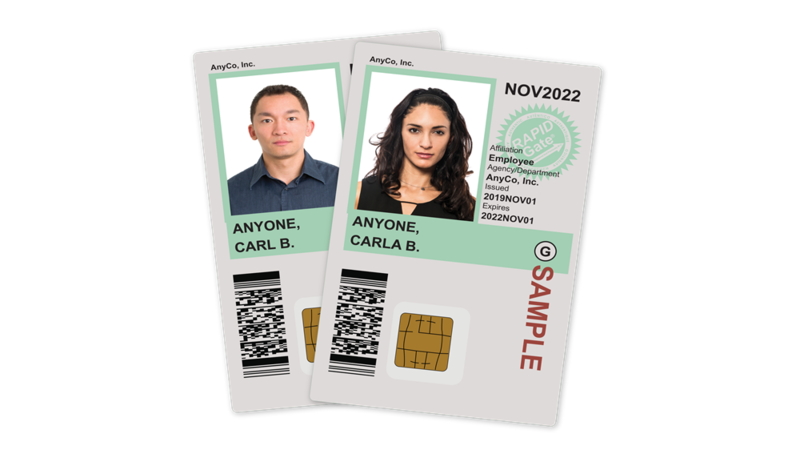 The RAPIDGate Program is a patented, award-winning and SAFETY Act-certified identity, access and security solution that boasts 99.97% uptime. It’s the only vendor-funded program of its kind, supporting organizations from the planning phase through implementation and providing ongoing program support. The Program also provides turnkey vendor enrollment. Fortior Solutions is committed to making our products and services accessible to persons with disabilities. Fortior Solutions is a nationally recognized leader in high-assurance identity management solutions, helping security-conscious organizations reduce risk by quickly identifying who they can trust. It is the largest commercial provider of recognized vendor credentials to the U.S. Department of Defense. Founded in 2001, Fortior Solutions is headquartered in Hillsboro, Oregon. Watch a short video about how the RAPIDGate Program works. Join other security-conscious organizations that utilize the RAPIDGate Program and finally experience a simple, secure approach to identity management.